So you’re a resident of Aurora (Illinois) and you’re looking for a reputable, reliable and efficient roofing contractor? You came to the right place! We’re a local roofing company and even if you don’t hire us, we can at least offer you some tips. Finding a good roofer is not an easy task, mostly because there are so many roofing companies out there. It’s a crowded, competitive, sometimes grueling business. On the one hand, it’s great – as a consumer, you have many choices; on the other hand, sifting through all the different roofing companies can be a daunting and exhausting task. So how do you go about finding the best roofing contractor in Aurora, IL? Below is simple checklist to help with your search. 1. Physical place of business. Being a roofer is not the same as selling stuff on eBay or working on your first startup. Any legitimate roofing company should have a physical place of business and not a P.O. box. 2. Roofing license. Make sure that the company you’re about to hire is licensed in your state. Look for their registrar of contractor numbers, and if you feel even more inquisitive, contact your state roofing certification board to see if there are complaints. Sounds self-explanatory, but there wouldn’t be so many unlicensed contractors if not for people who hire them. Don’t be one of them… By the way, you can find our license number listed in our website’s footer. 3. Other credentials and accreditations. Check if they’re registered with Better Business Bureau (BBB), Angie’s List and other third party networks. If a roofer claims to have A+ rating with BBB, make sure you actually go to the BBB website and verify the claim. On our website, you can click on the official BBB seal and you’ll be taken directly to our listing on the BBB website. 4. Website and web presence. Good roofers are good at one main thing: installing roofs. At the same time, every business is in business of marketing. Being busy in the field is not an excuse for not having a website or having the latest update posted some time circa 2000. The bottom line is that it’s 2015 and if a roofing contractor has no online presence, they’re either unlicensed, had very bad reviews in the past and decided to disappear from the World Wide Web, or they simply don’t care about staying in touch with their current clients and prospects. Either way, they’re not someone you want to work with. 5. Business process. Quality customer service separates an excellent roofer from the one who’s just OK. Being able to explain their business process from tear-off to finish is a great asset. It’s not your job to know everything about roofing, it’s theirs. If your roofer is not good at explaining how they work and what to expect, look elsewhere. We hope this will help you find the best roofing contractor in Aurora, Illinois. ATJ’s Home Improvement loves working in Aurora and we have completed multiple projects in this wonderful town in the past. Feel free to check out our testimonials and give us a call if you’d like to get a free estimate for your roofing project in Aurora. 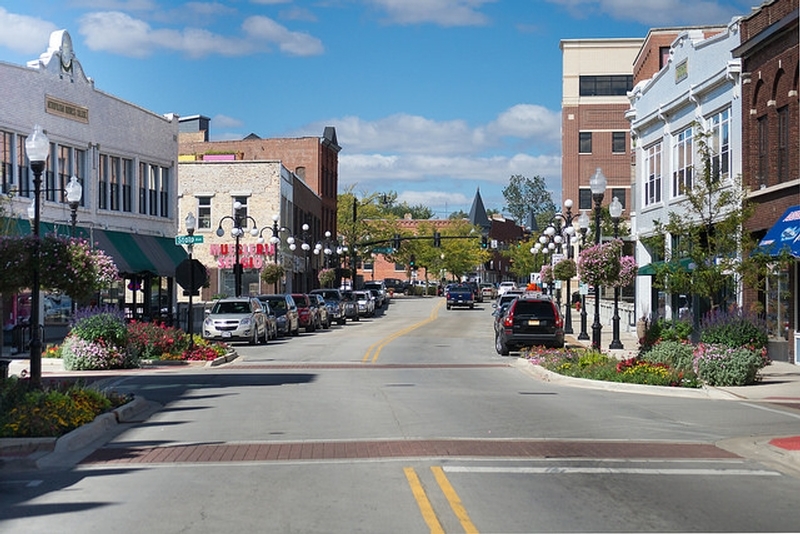 Aurora is a suburb of Chicago with population just under 200,000. Average price per square foot for Aurora IL was $109. According to Trulia, the median sales price for homes in Aurora IL for Jun 15 to Sep 15 was $176,000 based on 661 home sales. Compared to the same period one year ago, the median home sales price increased 13.5%, or $21,000, and the number of home sales increased 8.9%. Once a mid-sized manufacturing city, Aurora has grown tremendously since the 1960s. The Aurora area is home to an impressive collection of architecture, including structures by Frank Lloyd Wright, Ludwig Mies van der Rohe, Bruce Goff and George Grant Elmslie. Photo credit: Center for Neighborhood Technology.